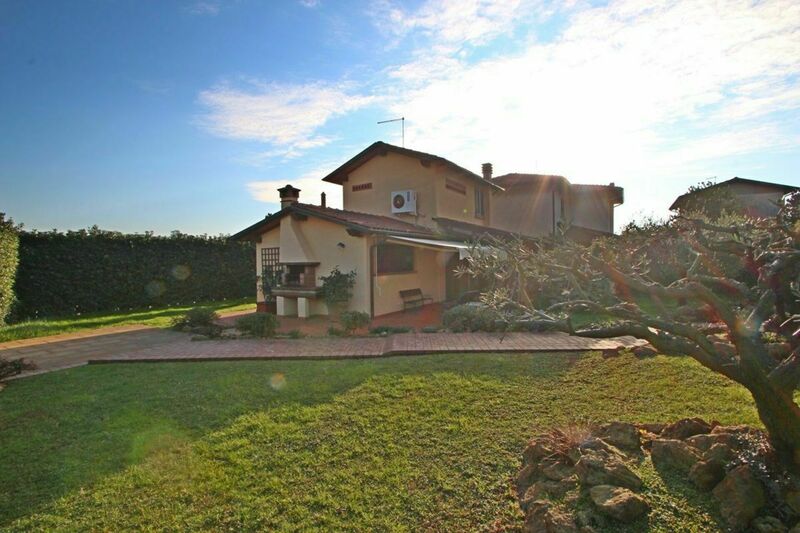 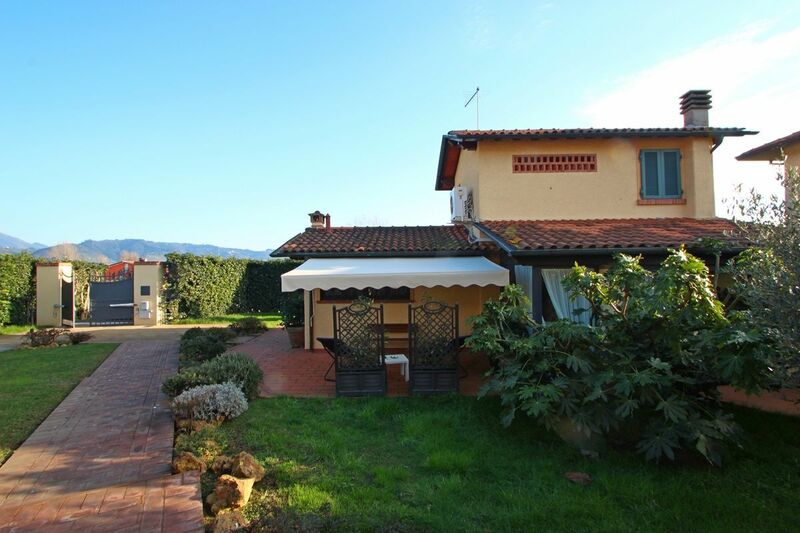 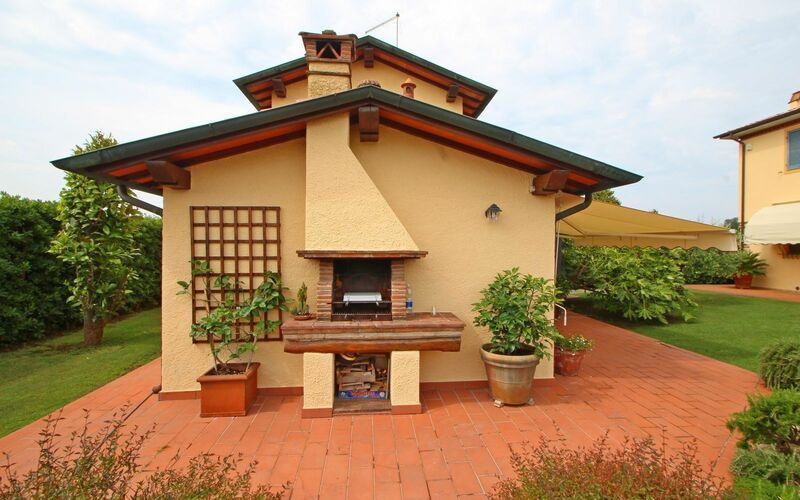 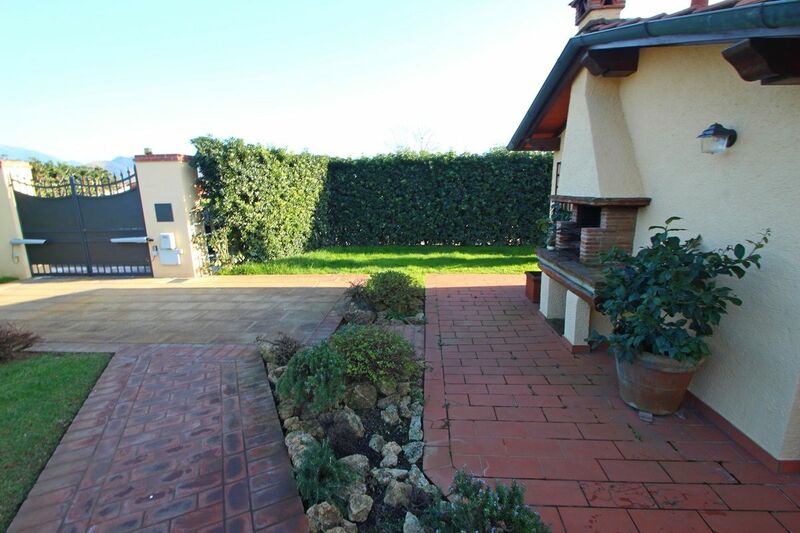 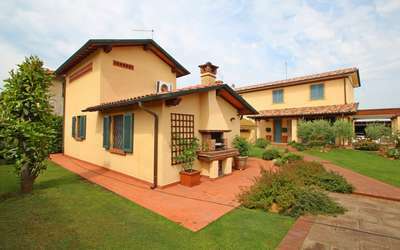 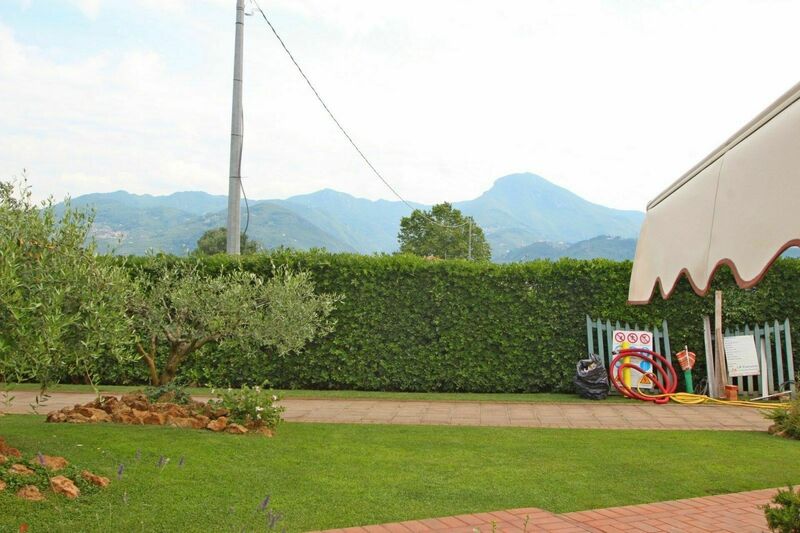 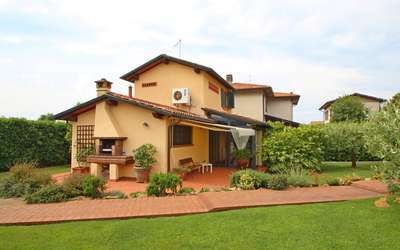 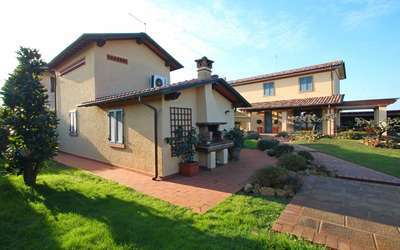 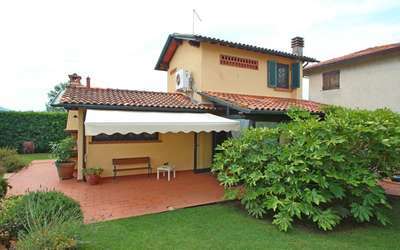 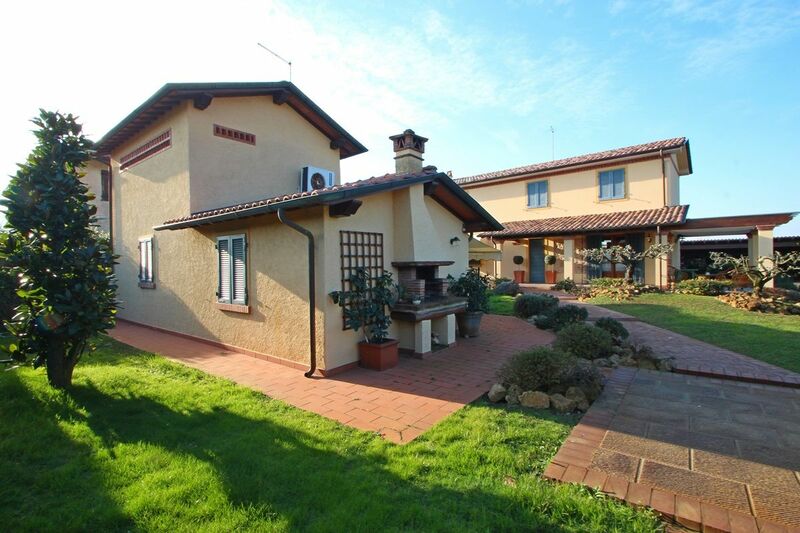 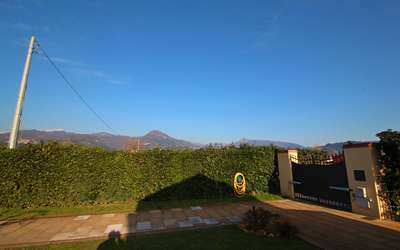 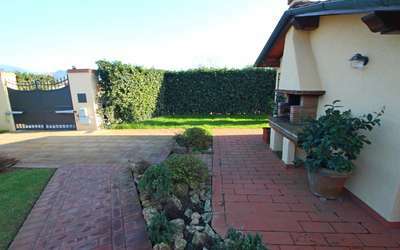 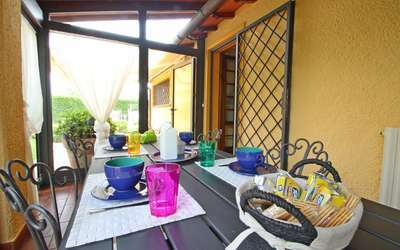 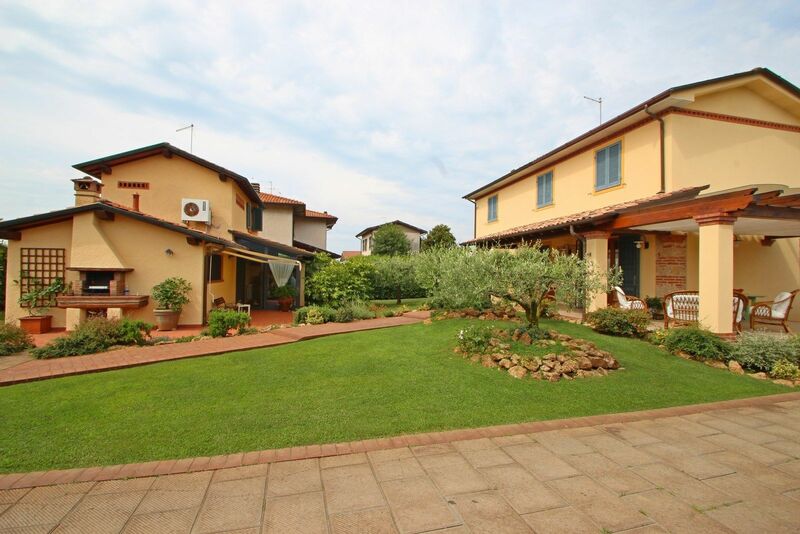 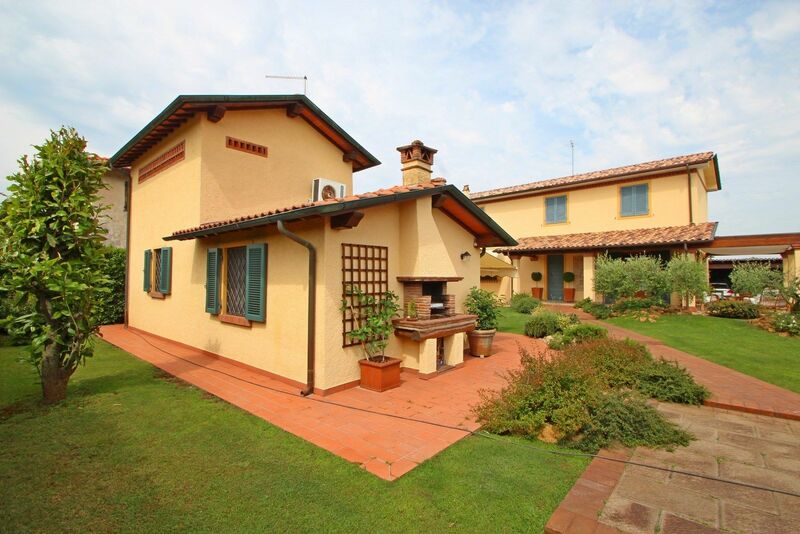 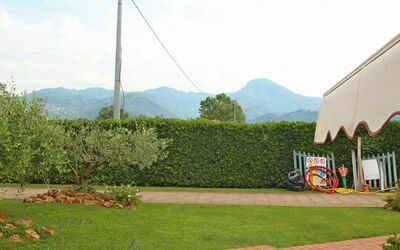 Very nice Holiday Home for rent in the countryside of Pietrasanta in Tuscany at only 3,6 Km from the Sea of Lido di Camaiore and Viareggio. 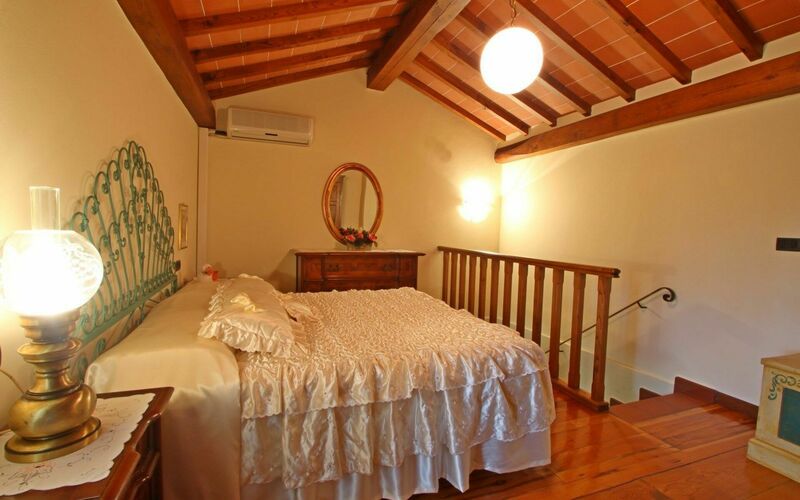 Casa Daniela is located inside the Owner's garden, which House is nearby. 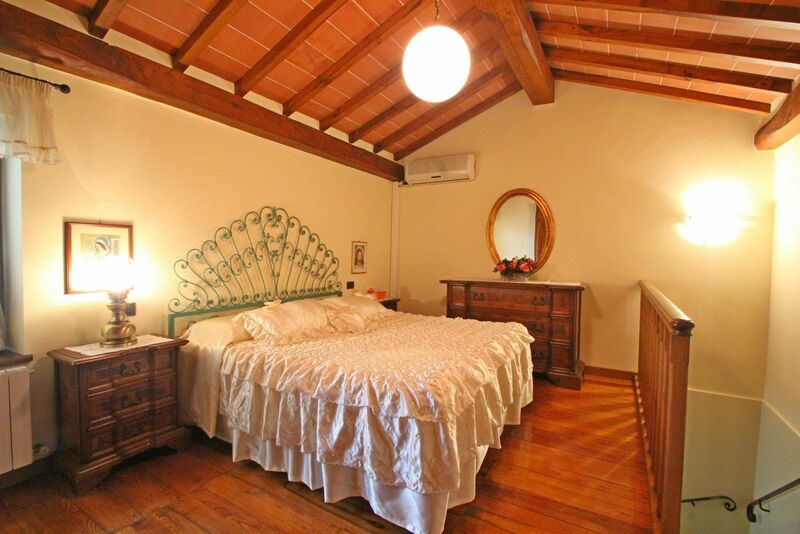 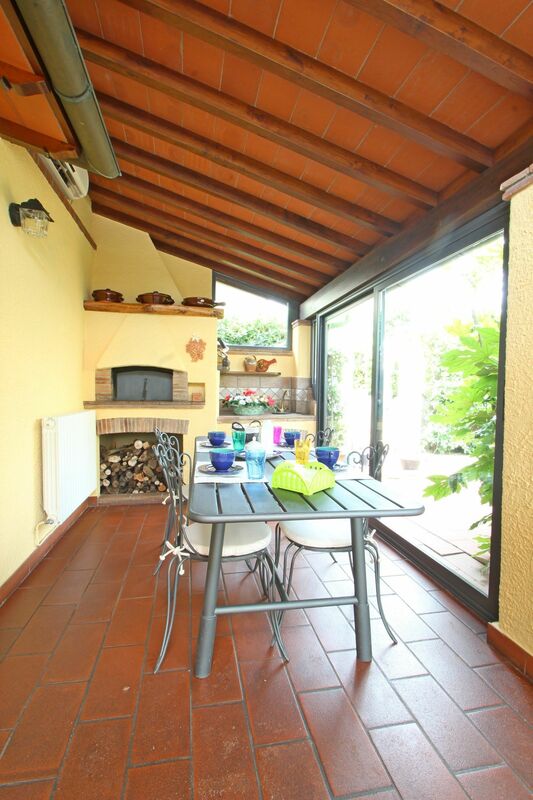 The guests of holiday home Daniela have a covered parking space and a small green area where they can relax. 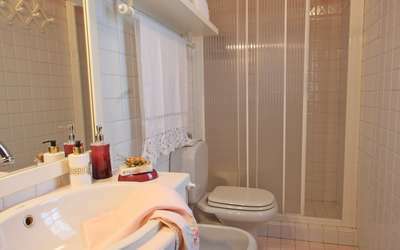 The entrance gate is in common. In the garden is a nice view of the Apuan Alps while relaxing in the beautiful covered Veranda and cooking on the barbecue. 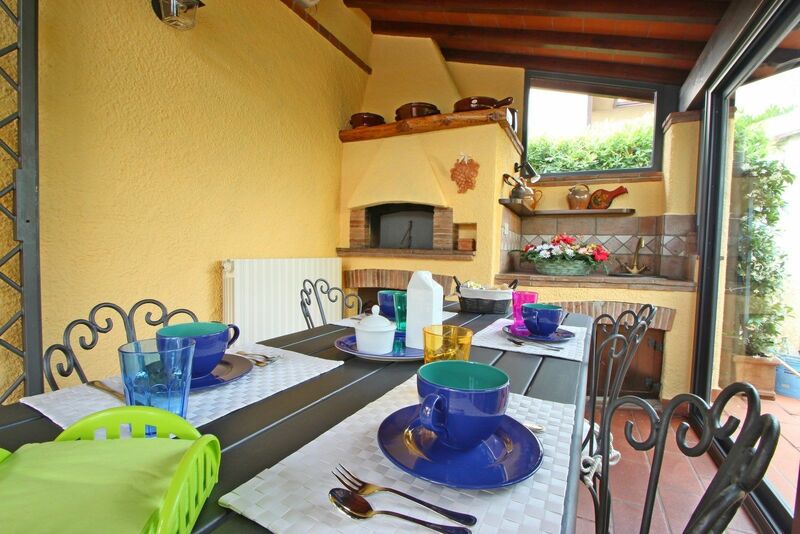 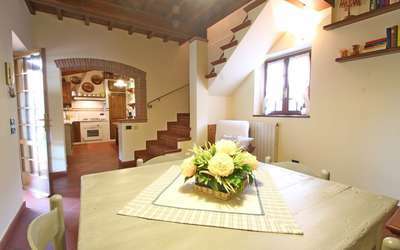 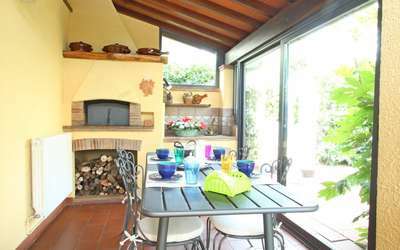 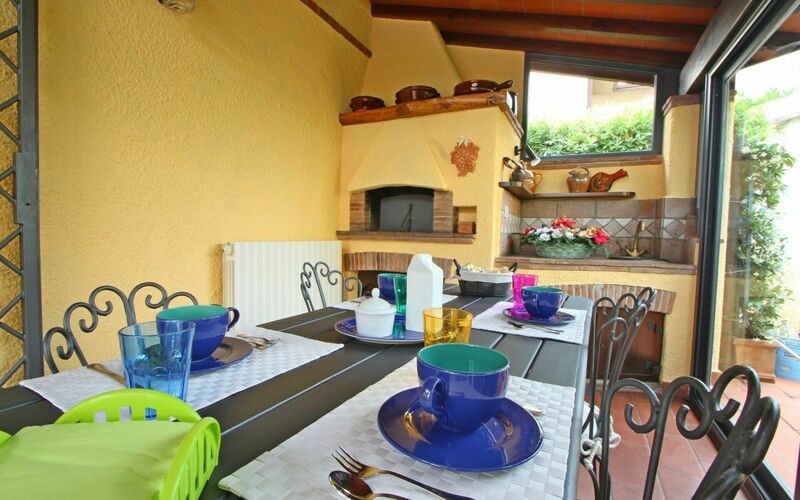 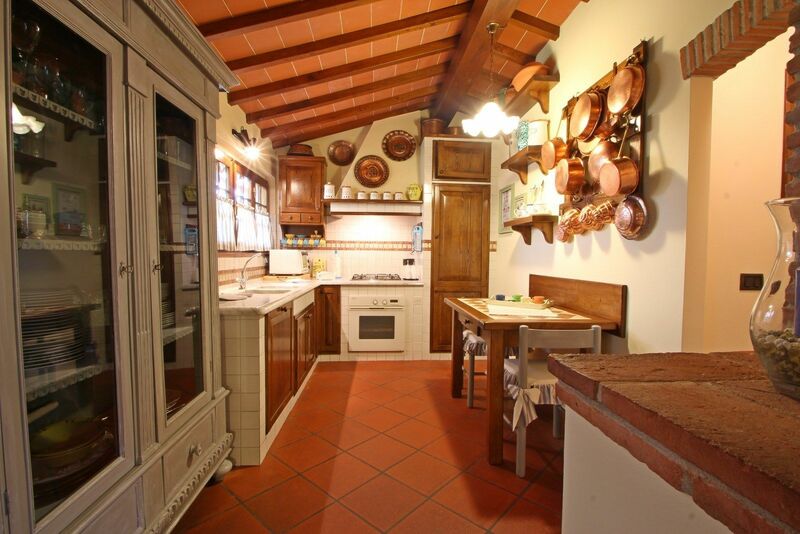 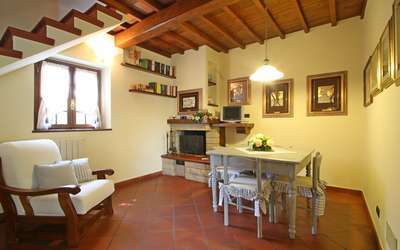 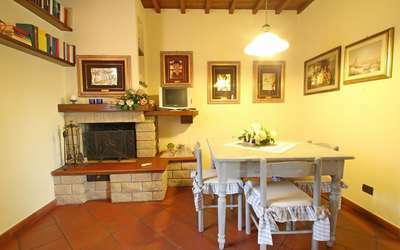 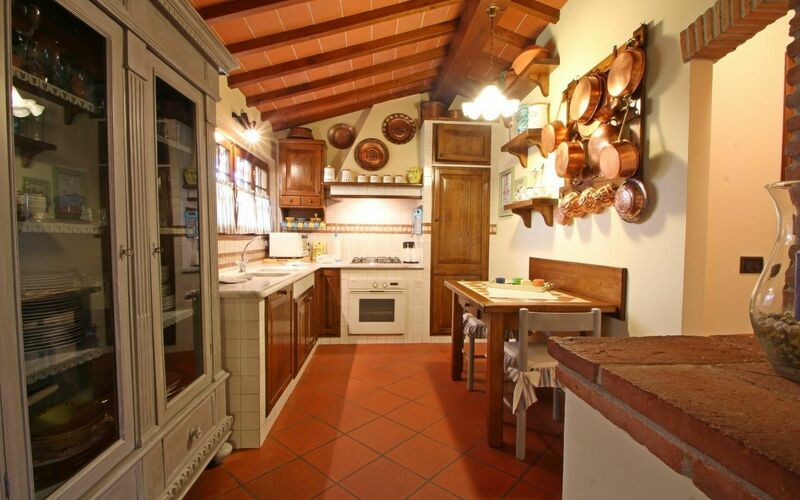 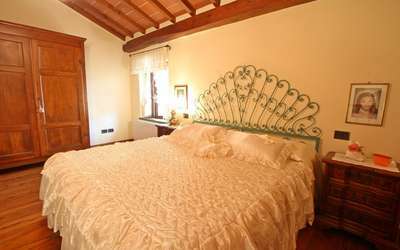 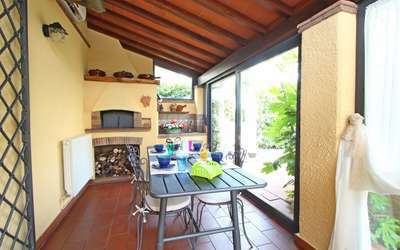 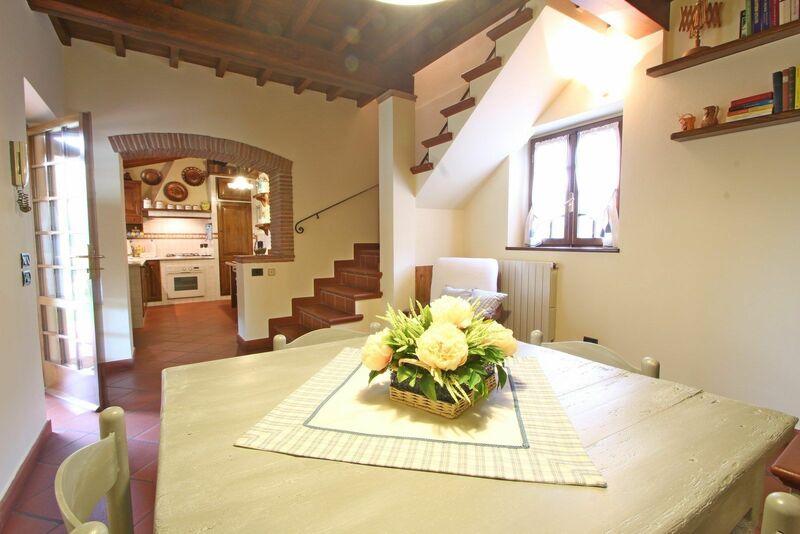 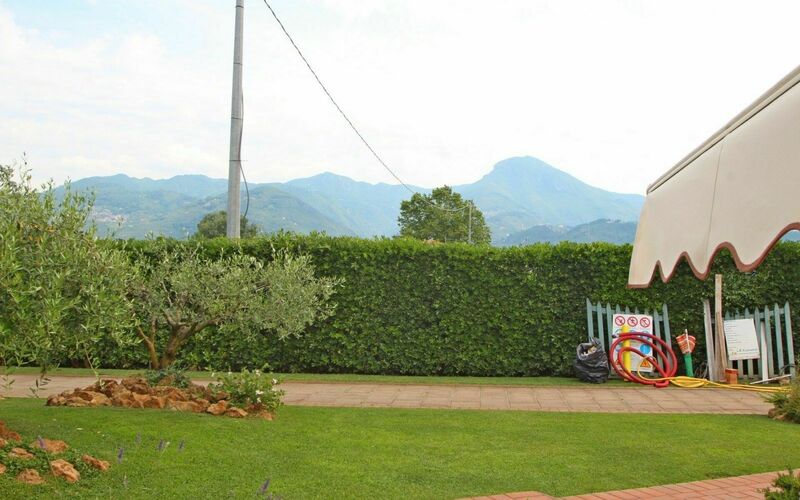 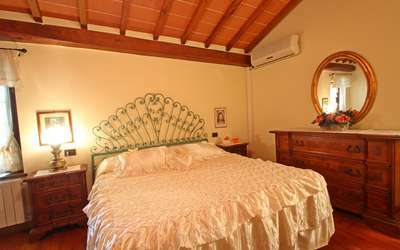 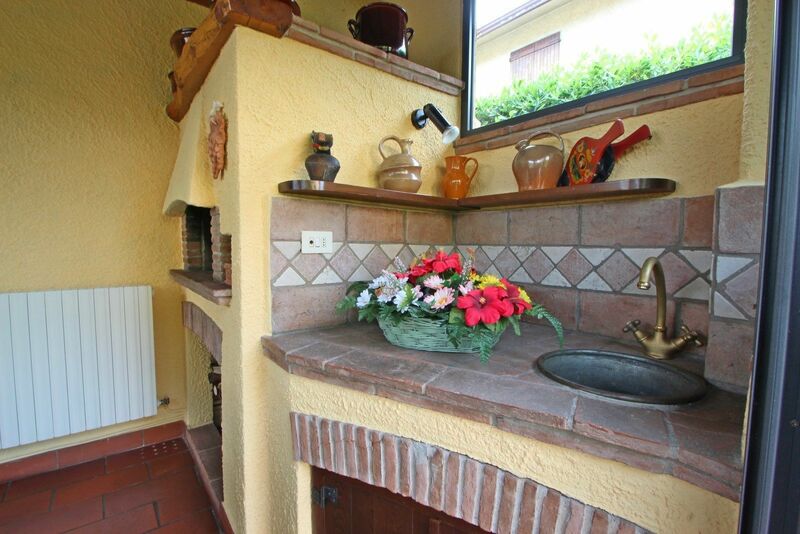 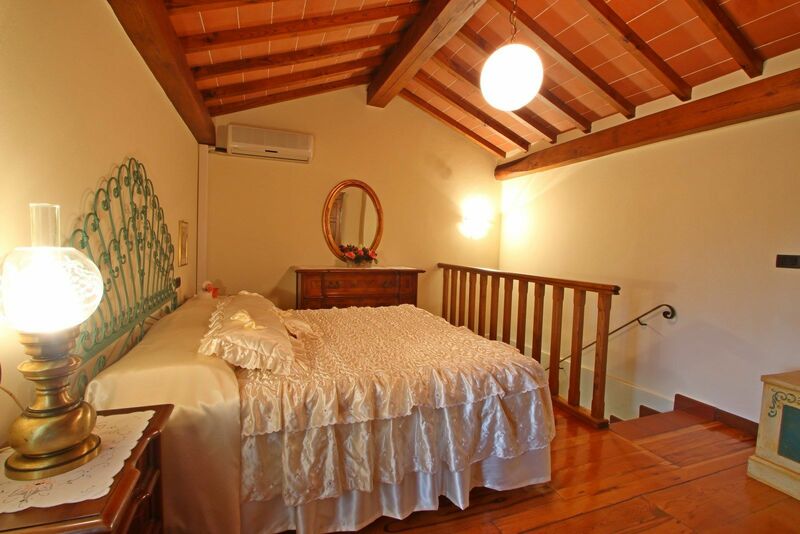 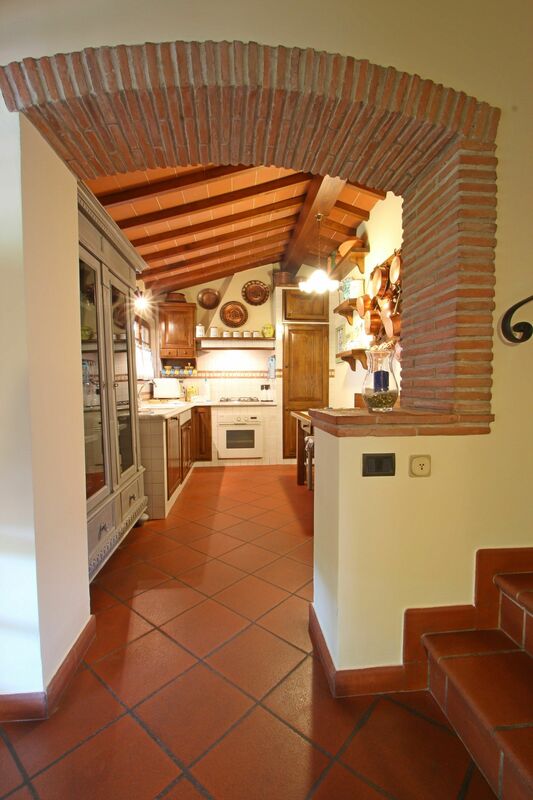 Casa Daniela is a great starting point for a beach holiday but also for visiting the beauties of the area, as the town of Pietrasanta, Camaiore, or for the Carnival of Viareggio. 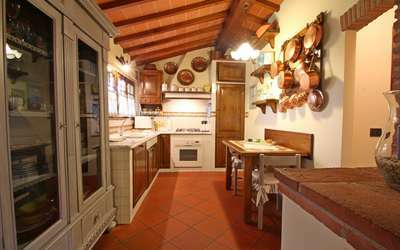 Even the Cinque Terre and the marble quarries of Carrara are not far away and worth a visit. 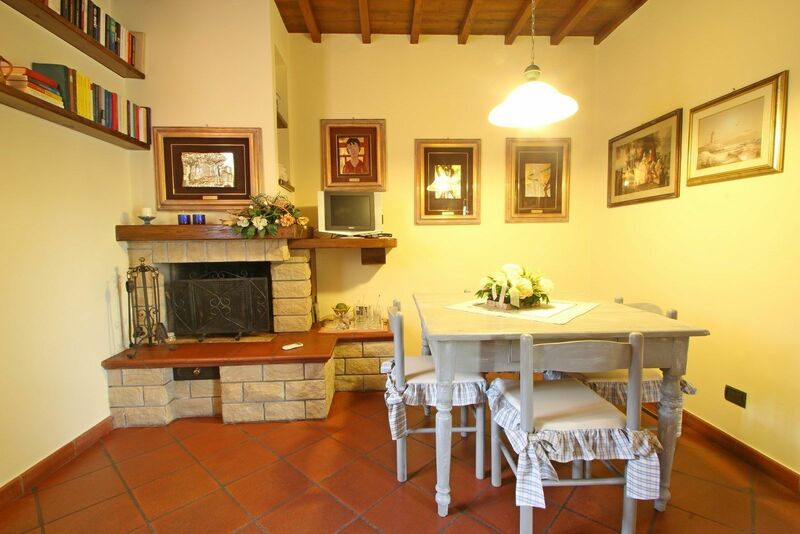 Ground Floor: Living room with sofa bed, fireplace (not working), dining table for 4 and air conditioning. 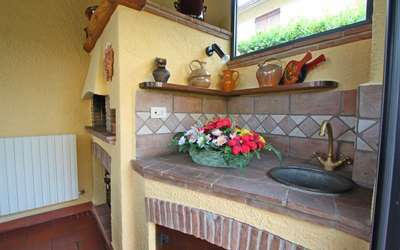 The living room leads to the glass-enclosed veranda with air-conditioning and a wood stove. 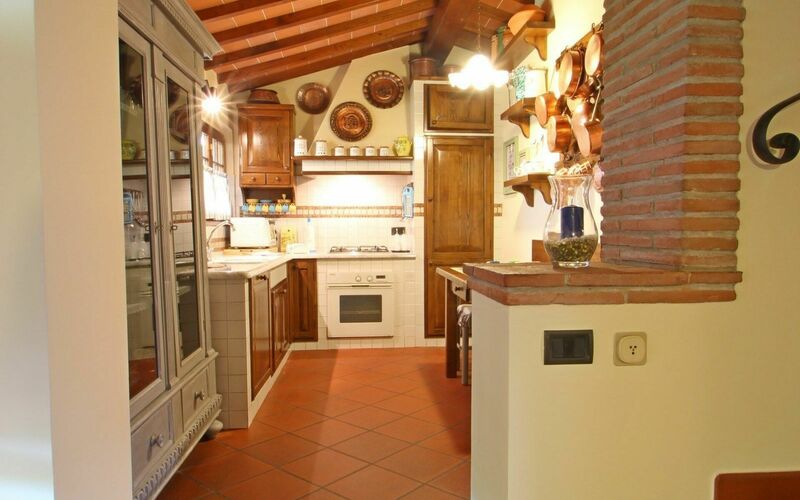 Kitchen with fridge / freezer, dishwasher, stove, oven and a small table for two. 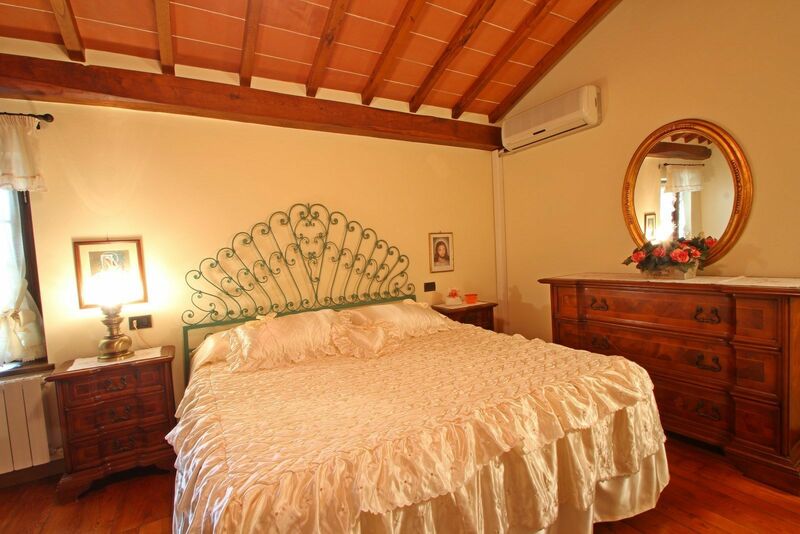 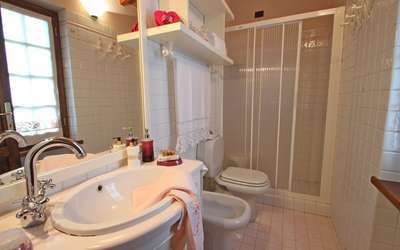 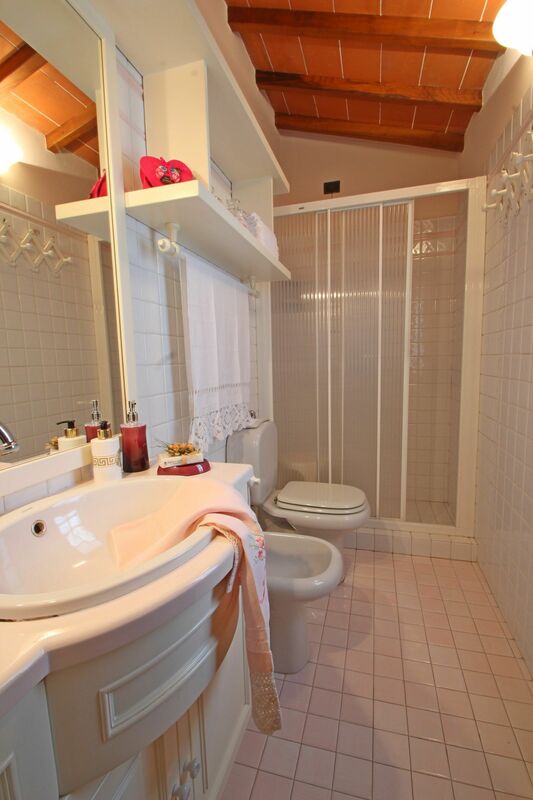 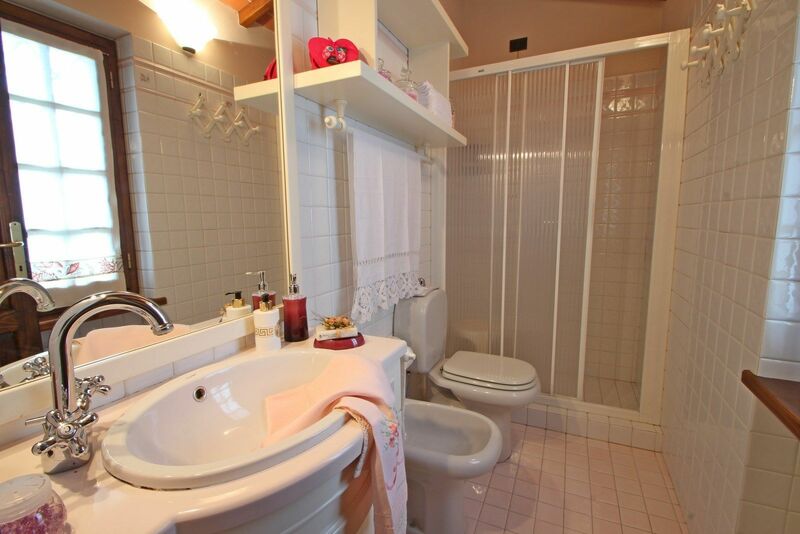 First Floor: Delicious double bedroom with air conditioning.